vSphere 6.5 Important Links – myvirtualjourney.com – This blog covers a vast range of useful links that helped me to quickly get up to speed on the new features. 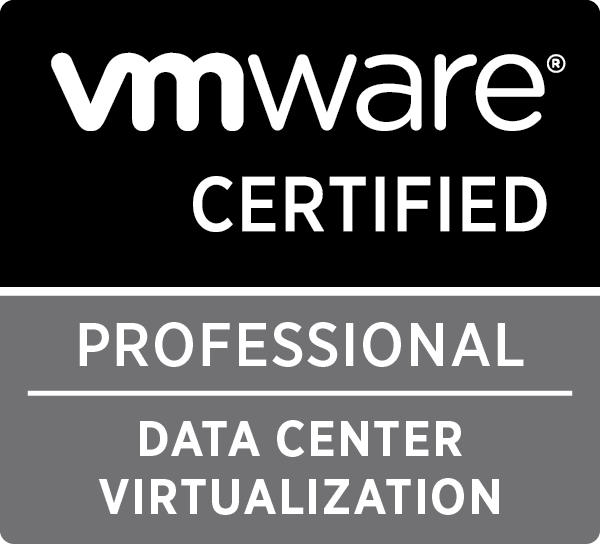 VCP6.5-DCV Study Guide (vladan.fr) – Lots of focus on the exam topics for the VCP6.5 exam. VMware vSphere 6.5 (VCP6.5-DCV) with 6.7 Updates – CBT Nuggets – I was fortunate enough to borrow a login to the CBT Nugget site to watch this video series, and I wasn’t disappointed. I have a Pluralsight subscription and felt the videos from there didn’t quite cut the mustard. The CBT videos I felt were rich in content and the illustrations used throughout stayed in my head better. I’m more of a visual learner so the videos greatly helped. Know the upgrade paths to 6.5! also know the new features in 6.5 such as vCenter HA! As always the VMware vSphere Documentation is full of useful information. Arrive at least 15 minutes early – Most exam centres I have been to have allowed me to enter early. Last tip; if you’re taking the exam at London Metro College like I did, wear shorts and a t-shirt! I, and everyone else in the room, were sweating! Friendly folks there, the room is just too damn hot! Along with the materials used above, I have deployed and upgraded numerous of vSphere environments in my day to day job. Getting hands-on experience is key as it’ll greatly help with you visually and execution the task at hand in the exam! Best of luck to anyone thinking of taking this exam!